Grand Duchess Alexandra Georgievna of Russia (Russian: Алекса́ндра Гео́ргиевна), née Princess Alexandra of Greece (Greek: Πριγκίπισσα Αλεξάνδρα της Ελλάδας) (30 August 1870 – 24 September 1891) was the third child and firstborn daughter of King George I and Queen Olga of Greece, who herself was a daughter of a Russian grand duke, and was also a grandchild of Denmark's King Christian IX and Queen Louise. She was a sister to Constantine I of Greece, and thus aunt of three kings and two queens, Constantine's three sons, who all became kings of Greece, and two of his daughters, who were queens, in name, of Romania and Croatia, respectively. She was also a paternal aunt of Prince Philip, Duke of Edinburgh. Princess Alexandra of Greece and Denmark was born on 30 [O.S. 18 August] 1870 at Mon Repos, the summer residence of the Greek royal family on the island of Corfu. She was the third child and eldest daughter of King George I of Greece and his wife, Grand Duchess Olga Constantinovna of Russia. 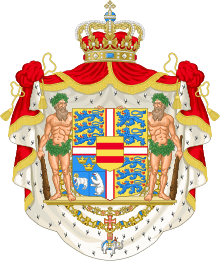 Alejandra's father was not a native Greek, but he had been born a Danish prince named Christian Wilhelm of Schleswig-Holstein-Sonderburg-Glücksburg, a son of Christian IX, King of Denmark, and he had been elected to the Greek throne at the age of seventeen. 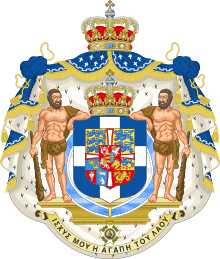 Thus, the Greek royal family was part of the Danish and it was in a close personal relationship with the British and Russian dynasties since King George’s sisters, Alexandra and Dagmar, had married the heirs to thrones of England and Russia. King George I of Greece and Queen Olga married young. They had a happy marriage and eight children. One daughter died in childhood, but five sons (Constantine, George, Nicholas, Andrew, Christopher) and two daughters (Alexandra and Maria) reached adulthood. The Greek royal family was not wealthy by royal standards and they lived with simplicity. King George was a taciturn man, but contrary to the general approach of the time, he believed in happy rambunctious children. The long corridors of the royal place in Athens were used by Alejandra and her siblings for biking, rollerblading, skateboarding, and sometimes a "bike ride" led by the King himself. Raised by British nannies, English was the children's first language, but they spoke Greek between themselves. They also learned German and French. 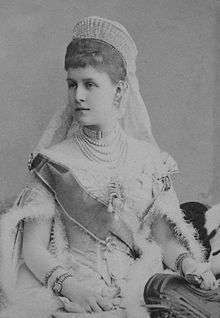 Alexandra, nickname "Aline" within her family, or Greek Alix, to distinguish her from her aunt and godmother, Alexandra, Princess of Wales, had a sunny disposition and was much loved by her family. "She had one of those sweet and lovable natures that endeared her to everybody who came in touch with her," recalled her brother Prince Nicholas of Greece. "She looked young and beautiful, and ever since she was a child, life looked as it had nothing but joy and happiness in store for her." Alexandra playmates were her brother Nicholas and her sister Maria, who followed her in age. Alexandra spent many holidays in Denmark visiting her paternal grandparents. In Denmark, Alexandra and her sibling met their Russian and British cousins in large family gatherings. When she was eighteen years old, she was married to Grand Duke Paul Alexandrovich of Russia, her maternal first cousin once removed and the youngest child and sixth son of Emperor Alexander II and his first wife Princess Marie of Hesse and by Rhine. They had become close when Grand Duke Paul spent winters in Greece due to his frequent respiratory illnesses. The Greek royal family also frequently spent holidays with the Romanov family on visits to Russia or Denmark. Seven months into her second pregnancy, Alexandra took a walk with her friends on the bank of the Moskva River and jumped directly into a boat that was permanently moored there, but fell as she got in. The next day, she collapsed in the middle of a ball from violent labour pains. She gave birth to her son, Dmitri, lapsed into a fatal coma, and she died six days later in the Romanovs' estate Ilyinskoe near Moscow. The Grand Duchess was buried in the Peter and Paul Cathedral, St. Petersburg. Her grieving husband had to be restrained from throwing himself into the grave with her. In 1939 when Alexandra's nephew George II of Greece was reigning, the Greek government obtained a permission from the Soviet government under Joseph Stalin to rebury Princess Alexandra in Greece. Her body was removed from the vault in Leningrad and transferred by a Greek ship to Athens. It was finally laid to rest near the Tatoi Palace. Alexandra's marble tombstone over an empty tomb is still in its place in the Peter and Paul Cathedral. ↑ Πετρόπουλος, Ηλίας (1995). Η ονοματοθεσία οδών και πλατειών. Πατάκης. pp. 65–68. ISBN 960-360-483-6. Wikimedia Commons has media related to Grand Duchess Alexandra Georgievna of Russia.